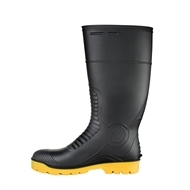 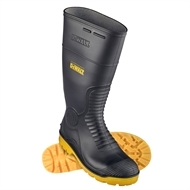 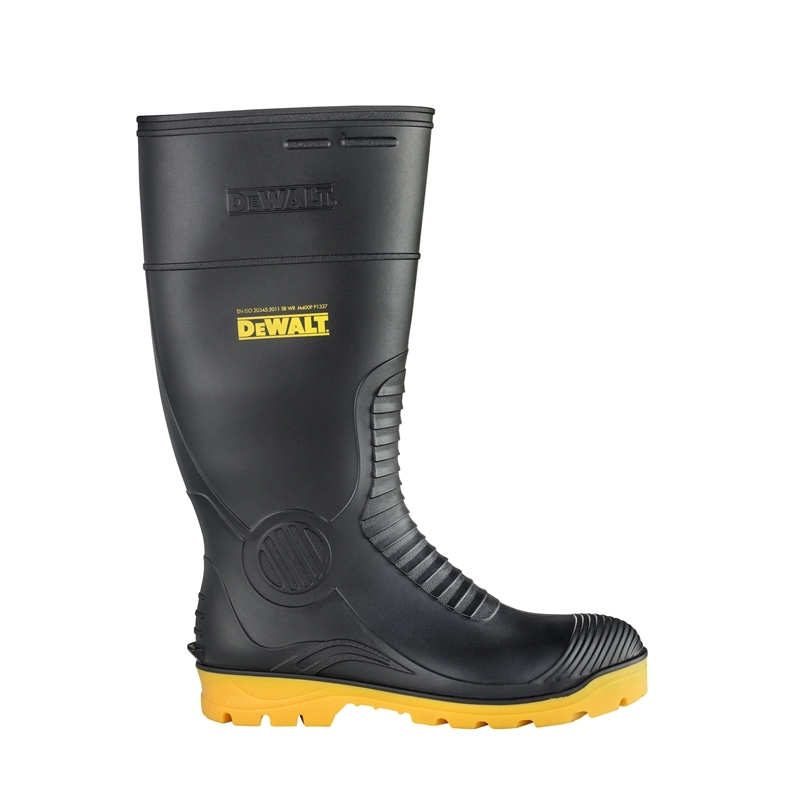 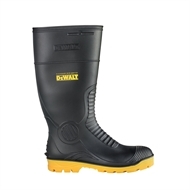 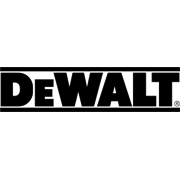 All-Day Comfort & Extreme Durability, The DeWALT Midland PRO Comfort Safety Gumboot is designed for All-Day Comfort & Extreme Durability. 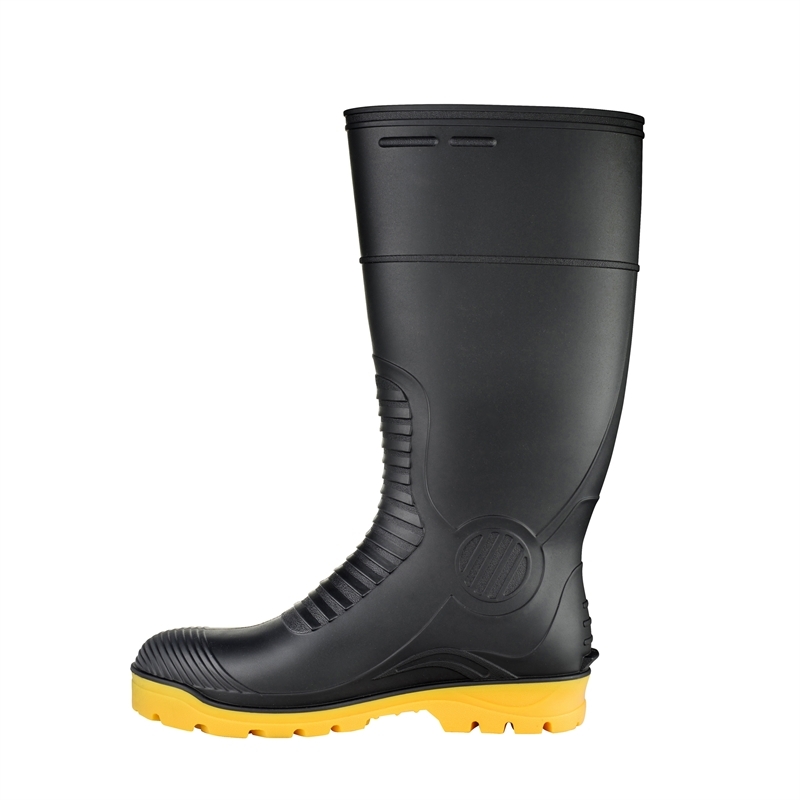 The Midland PRO Comfort innovative cushioning and support layers provide the ultimate comfort when you are on your feet for long periods of time. 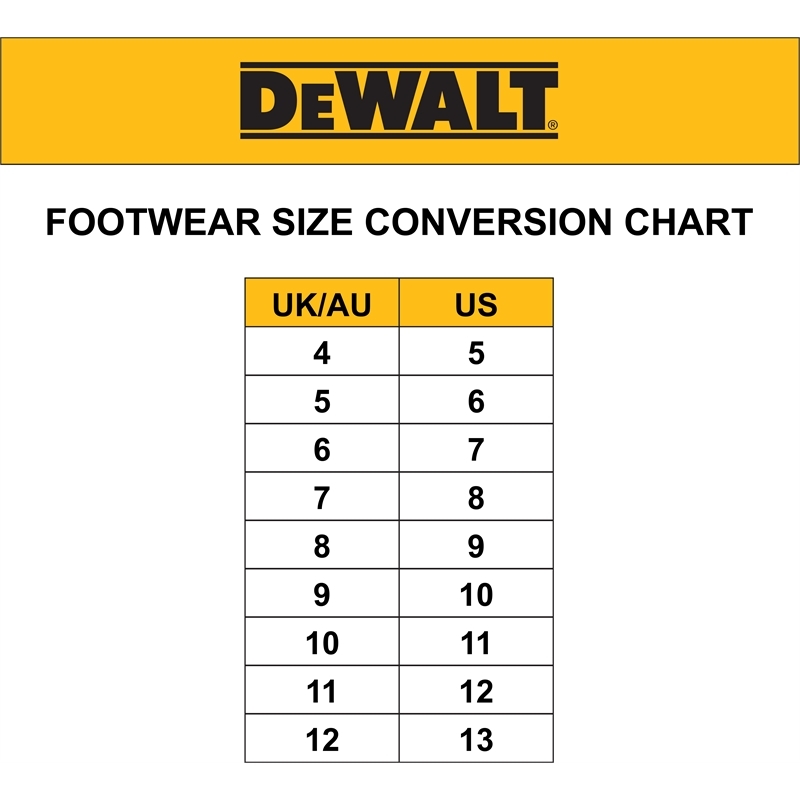 Soft touch knit lining provides long lasting comfort, and sweat management. 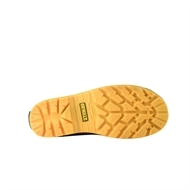 Wide fit and a heavy duty tread outsole for extra stability with the outsole pattern. 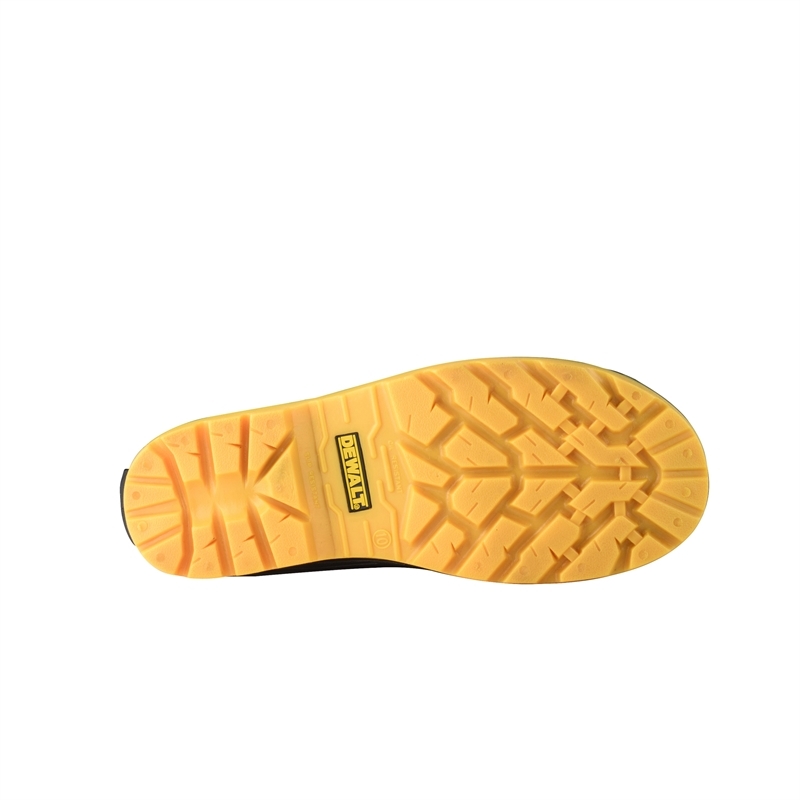 The new outsole design also resists clogging, providing the ultimate grip and support in most environments. 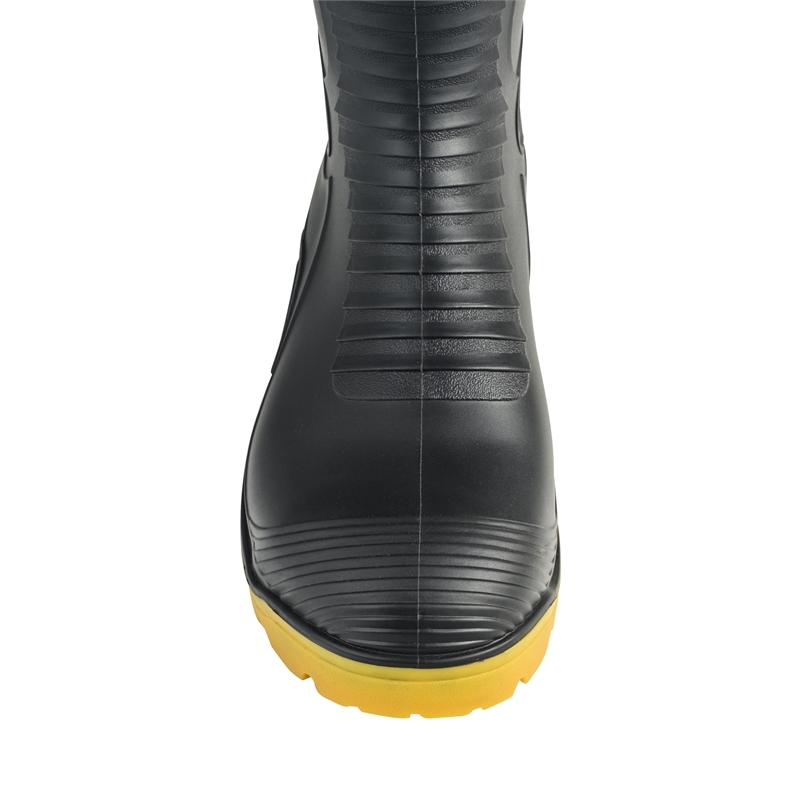 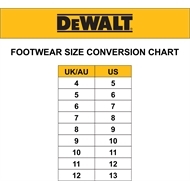 With the tradie in mind, the upper design features a metatarsal guard protection, medial, lateral and heel bump protection. The protective patterning provides greater resistance to cuts and abrasion in all the key vulnerable areas. 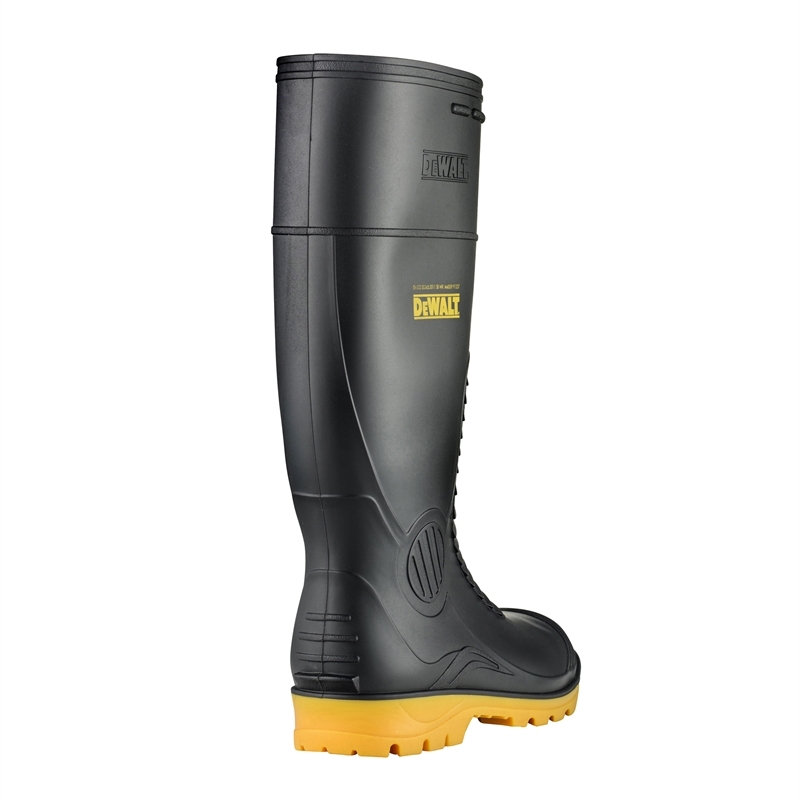 The rear heel kick off lip aids in getting out of the gumboots with efficiency.